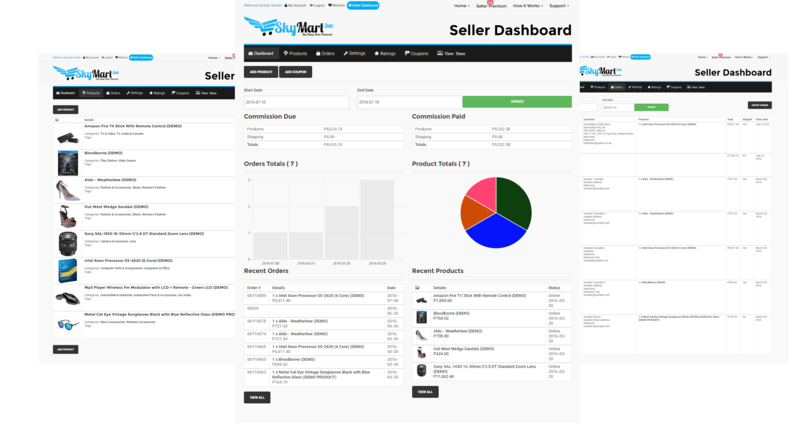 Build up your sales revenue and make a good return when selling with Skymart. As a Sky Seller, joining our marketplace ensures that customers do not need to spend too much time searching through hundreds of websites to find the right products they need. By pooling hundreds of sellers across the region, we ensure that both the customers and you as a Sky Seller benefit by making it easier for the right customer to reach the right product at the right time. Our intuitive, elegant yet simple design plays well on all device types ensuring no sales are lost. Want to Sell Online? 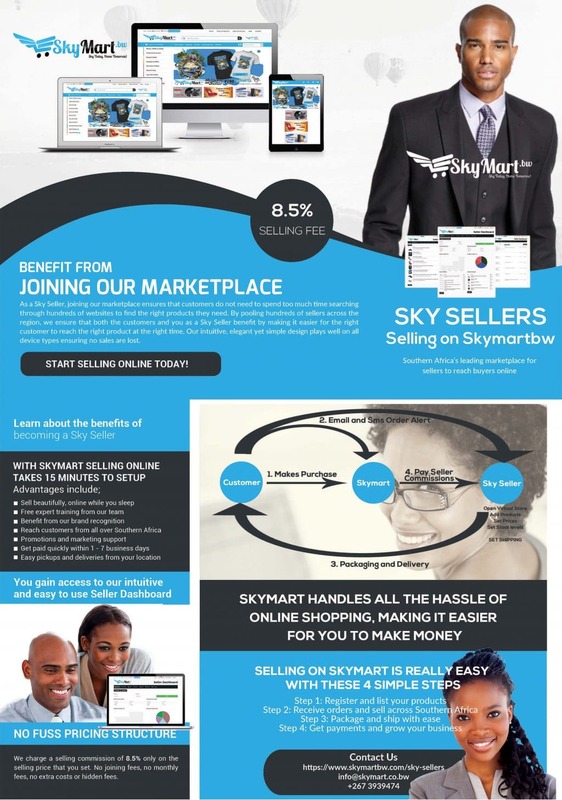 Partner with Skymart through the Sky Sellers Program! 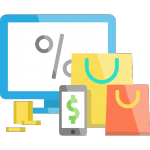 Shopping online is now one of the easiest tasks to do, since anyone with a phone, PC, and a strong internet connection can simply browse through a long list of items available within the top online shopping site of the region. Anyone can click on an item, pay via multiple channels and have them delivered within a short time frame. Bring the value of convenience and speed to both buyer and seller. Sky Today, Home Tomorrow. If you want to expand your business through online shopping, now is the time to sell your products through the trusted Sky Seller Program. 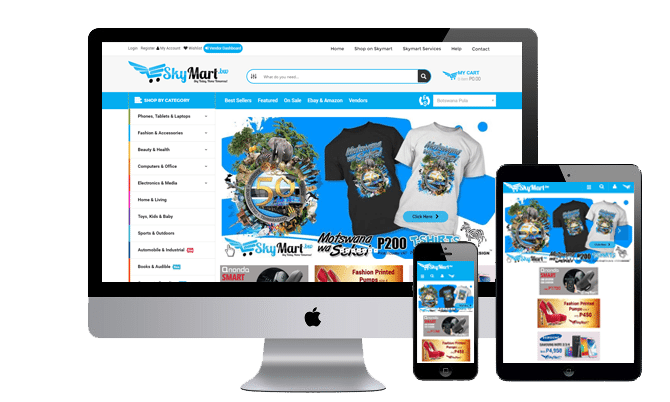 If you are in the loop about e-commerce in the Southern Africa, you would know that Skymart is the premiere online shopping company in the region, boasting thousands of visits from various customers each day, with new items and exclusive deals that make this Internet-based company the best stop for buying and selling products anywhere in the region. Many customers trust the online brand with their orders, and have witnessed effortless shopping at its finest. With years of quality service to both new and long-time customers, people can only expect Skymart to be more expansive with their offers, allocate more for both sellers and customers, and simply be better than ever. Why Should You Go Through the Sky Seller Program? One of the main reasons for the group’s success in their venture is through their effective program, where several brands get signed up and allow their items to be sold online through the Sky Seller Program. Skymart accepts partnerships from groups of any scale, whether these are small businesses, product retail sellers, and large distributors and wholesalers. The biggest advantage of the Sky Seller Program is Skymart’s own tenure as a top market brand online. 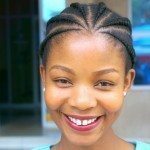 As stated, the online shopping site boasts a really large audience, with people all around the Southern Africa visiting them through the website. This provides a good sense of marketing for most of the items since many people can see the products listed on Skymart. What Does the Sky Seller Program Do? 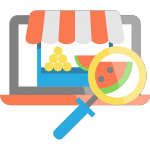 Once a business properly undergoes the steps of the Seller Partnerships, their products will be among those listed on the Skymart website, where customers can see them, click on them, and buy. The partnership program also entitles the sellers with the online shopping group’s proper methods and steps of the transaction process between the seller and the customer. 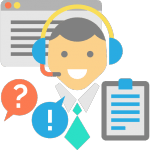 Once the order is placed, the sellers can process the order with the help of Skymart’s own customer service, and leave the final preparations and the delivery with the online shopping group’s trusted courier services. The overall process for the Marketplace is easy to accomplish, and processing the brand’s items will be up and done in a short amount of time. This fast and reliable process falls under the trusted mantra of Sky Today, Home Tomorrow, which can be trusted by both seller and customer.